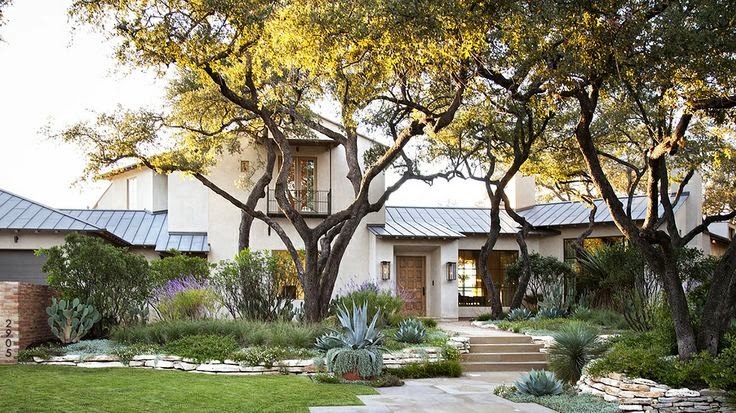 This Austin TX yard puts me in the mood for summer, some dry-rub BBQ, and the sound of torrential Texas rain on a tin roof. The front yard's elevation is beautiful with stacked stone, huge trees, and a variety of succulents and perennials. And then, the backyard is just asking for a party at twilite! Check out the covered porches, the pretty chaises, and the sparkling pool built up to patio level. 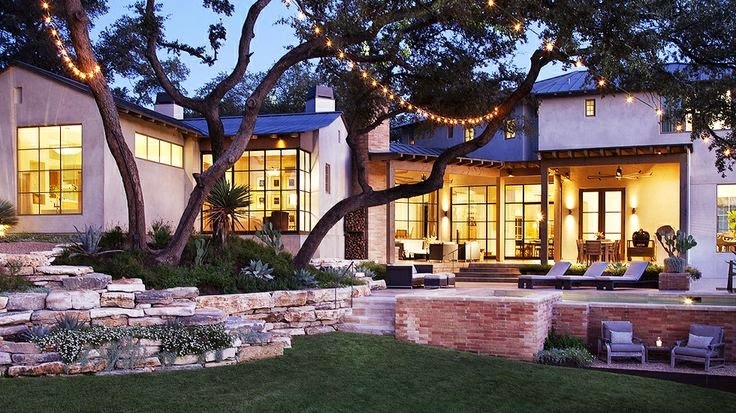 I also love the stacked stone surrounding the flower beds, the wide open expanse of yard, and the twinkling garden lights. What's not to love here? 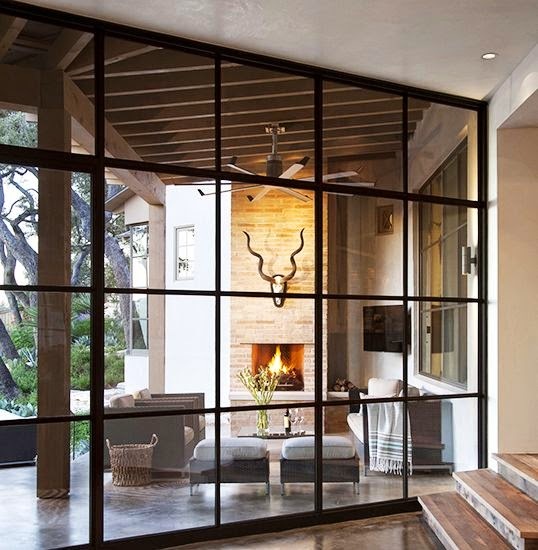 I mean, they even have black casement windows!! Here's a close up shot of one of the covered porches taken from the inside looking out. The inside of the house will totally take your breath away, too. Check out all the pretty photos in Domaine Home's feature of the house here!